Take pressure off of your phone and use the Huawei MediaPad M3 8” Tablet as a fully portable entertainment device. Featuring 32 GB of internal memory and a microSD card slot that can add 128 GB to your storage, you'll never run out of space to house your music, movies, games and entertainment apps like Netflix. It can be a pain to juggle between apps when you want to use them simultaneously. The MediaPad M3 can launch two apps at the same time, splitting the screen into two and letting you accomplish more, faster. Edit your holiday images and send to your family without having to switch back and forth. Watch your box sets and movies on a beautifully clear Full HD screen. 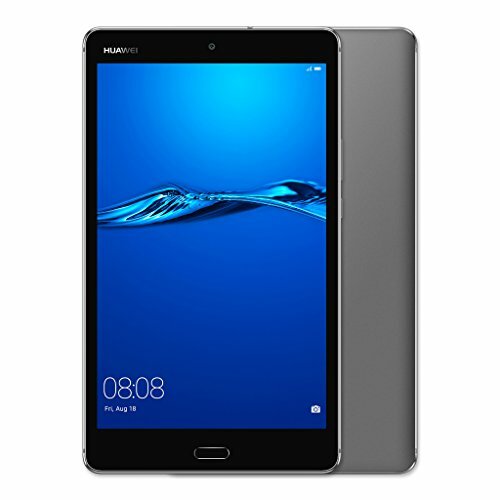 Your Huawei MediaPad M3 8” Tablet has a blue-light filter and low-light display mode, letting you browse and watch shows for extended periods without straining your eyes. Browse for hours comfortably and headache-free. As well as having a speaker both at the top and bottom of the tablet, you'll easily adjust the audio to suit your taste with Super Wide Sound 3.0, certified by Harmon Kardon. Toggle with the EQ to hear more pronounced bass when listening to dance classics, or turn up the highs to hear crisp percussion in your favourite rock anthems.